As the shipping industry faces pressure to cut climate-altering greenhouse gases, one answer is blowing in the wind. European and U.S. tech companies, including one backed by airplane maker Airbus, are pitching futuristic sails to help cargo ships harness the free and endless supply of wind power. 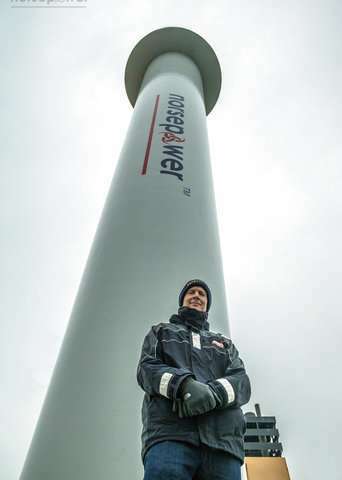 While they sometimes don't even look like sails—some are shaped like spinning columns—they represent a cheap and reliable way to reduce CO2 emissions for an industry that depends on a particularly dirty form of fossil fuels. Denmark's A.P. 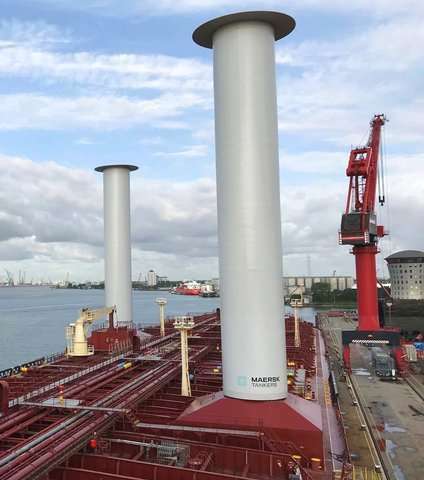 Moller-Maersk , the world's biggest shipping company, is using its Maersk Pelican oil tanker to test Norsepower's 30 meter (98 foot) deck-mounted spinning columns, which convert wind into thrust based on an idea first floated nearly a century ago. Maersk pledged this week to cut carbon emissions to zero by 2050, which will require developing commercially viable carbon neutral vessels by the end of next decade. The shipping sector's interest in "sail tech" and other ideas took on greater urgency after the International Maritime Organization, the U.N.'s maritime agency, reached an agreement in April to slash emissions by 50 percent by 2050. Transport's contribution to earth-warming emissions are in focus as negotiators in Katowice, Poland, gather for U.N. talks to hash out the details of the 2015 Paris accord on curbing global warming. Shipping, like aviation, isn't covered by the Paris agreement because of the difficulty attributing their emissions to individual nations, but environmental activists say industry efforts are essential to combating climate change. Ships belch out nearly 1 billion tons of carbon dioxide a year, accounting for 2-3 percent of global greenhouse gases. The emissions are projected to grow between 50 to 250 percent by 2050 if no action is taken. Notoriously resistant to change, the maritime shipping industry is facing up to the need to cut its use of cheap but dirty "bunker fuel" that powers the global fleet of 50,000 vessels—the backbone of world trade. The IMO is taking aim more broadly at pollution, requiring ships to start using low-sulfur fuel in 2020 and sending shipowners scrambling to invest in smokestack scrubbers, which clean exhaust, or looking at cleaner but pricier distillate fuels. A Dutch group, the Goodshipping Program , is trying biofuel, which is made from organic matter. It refueled a container vessel in September with 22,000 liters of used cooking oil on behalf of five customers, in what it called a world first that cut carbon dioxide emissions by 40 tons. In Norway, efforts to electrify maritime vessels are gathering pace, highlighted by the launch of the world's first all-electric passenger ferry, Future of the Fjords, in April. Chemical maker Yara is meanwhile planning to build a battery-powered autonomous container ship to ferry fertilizer between plant and port. The Yara Birkeland, scheduled to enter service in 2020, will cut emissions by replacing the trucks currently used to do this job. Shipowners have to move with the times, said Bjorn Tore Orvik, Yara's project leader. Building a conventional fossil-fueled vessel "is a bigger risk than actually looking to new technologies ... because if new legislation suddenly appears then your ship is out of date," said Orvik. Batteries are effective for coastal shipping, though not for long-distance sea voyages, so the industry will need to consider other "energy carriers" generated from renewable power, such as hydrogen or ammonia, said Jan Kjetil Paulsen, an advisor at the Bellona Foundation, an environmental non-government organization. 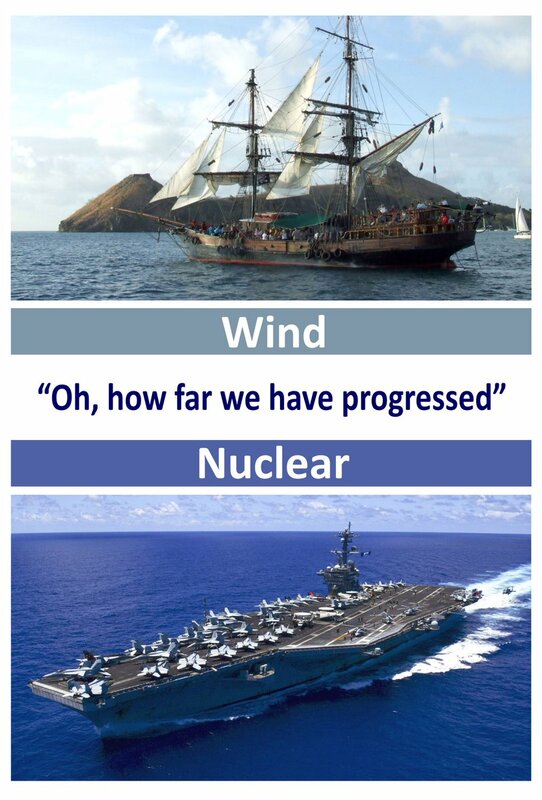 Wind power is also feasible, especially if vessels sail more slowly. 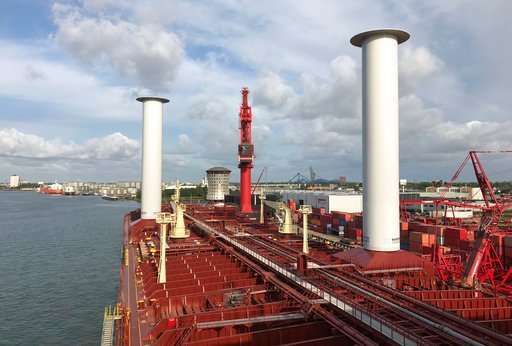 Rotor sails can generate thrust even from wind coming from the side of a ship. German engineer Anton Flettner pioneered the idea in the 1920s but the concept languished because it couldn't compete with cheap oil. 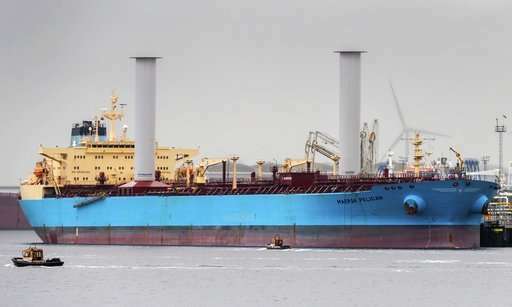 On a windy day, Norsepower says rotors can replace up to 50 percent of a ship's engine propulsion. Overall, the company says it can cut fuel consumption by 7 to 10 percent. One big problem with rotors is they get in the way of port cranes that load and unload cargo. To get around that, U.S. startup Magnuss has developed a retractable version. The New York-based company is raising $10 million to build its concept, which involves two 50-foot (15-meter) steel cylinders that retract below deck. "It's just a better mousetrap," said CEO James Rhodes, who says his target market is the "Panamax" size bulk cargo ships carrying iron ore, coal or grain. High tech versions of conventional sails are also on the drawing board. Spain's bound4blue's aircraft wing-like sail and collapses like an accordion, according to a video of a scaled-down version from a recent trade fair. The first two will be installed next year followed by five more in 2020. Airseas , backed by European plane maker Airbus, plans to deploy its parachute-like automated kite sails on ships ferrying fuselages from France to Alabama starting in 2020. The company predicts that the "Seawing" will reduce fuel use by 20 percent on the 13-day journey. "The most expensive way to get somewhere for free"
"LIKE the old sailors say, "The wind is free … but everything else costs money"." 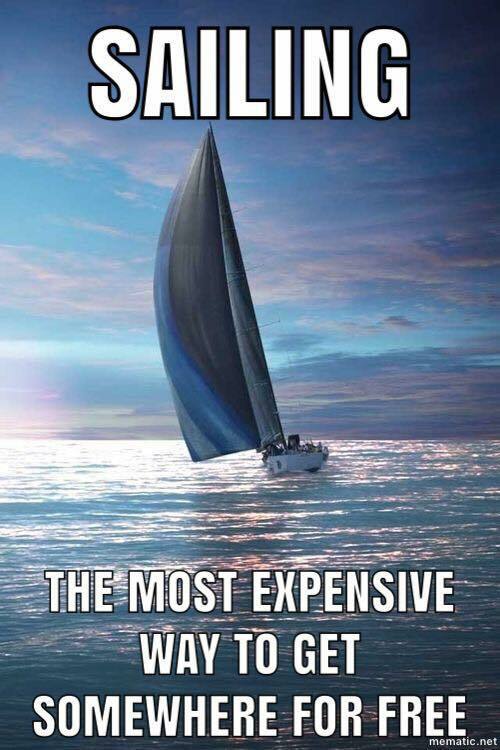 It's why sailing was replaced centuries ago by steam engines. 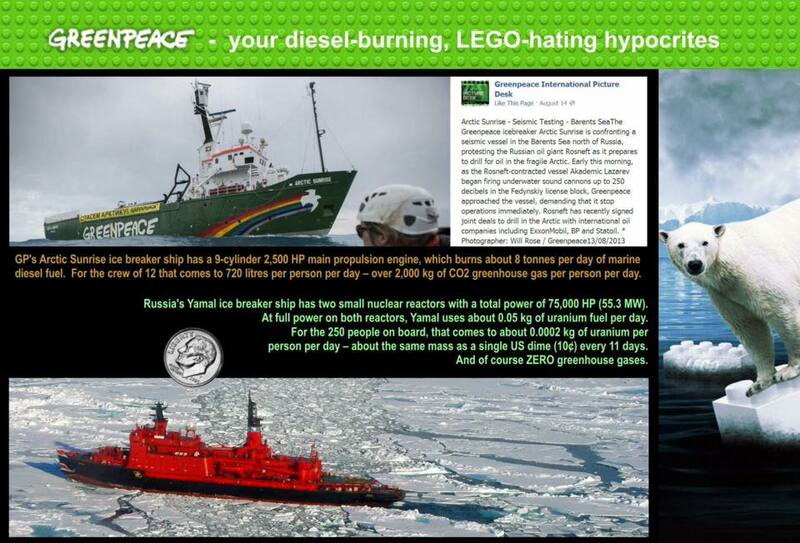 Not even Greenpeace relies on wind/solar/wave/tidal/algae/whale oil to propel their ships and inflatable motorboats across oceans, they use marine DIESEL instead. "Before petroleum, large cities were lit using whale oil. 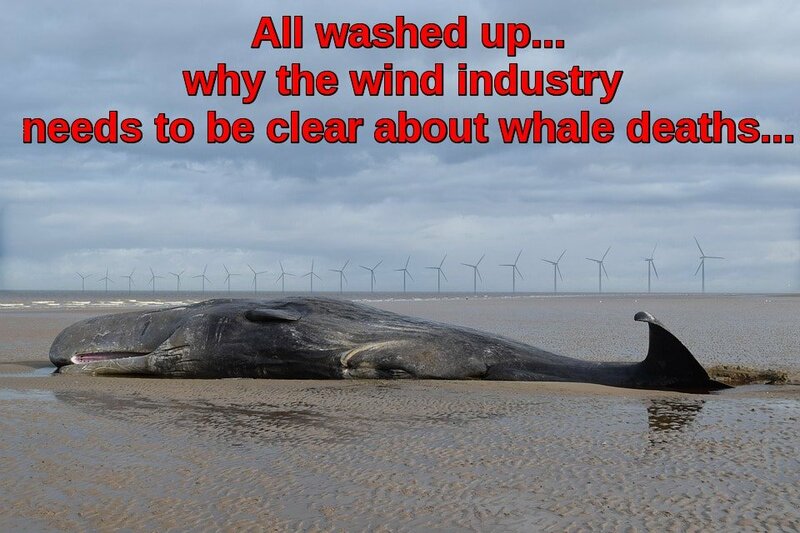 Coal and oil companies quite literally saved the whales."